A direct instrument panel can clearly display the vehicle's speed, fuel, and battery gauge. Spacious storage units can be located underneath the seat, which allows you to commute with your extra necessities. A luggage trunk can be utilized in addition to the storage unit and is detachable. 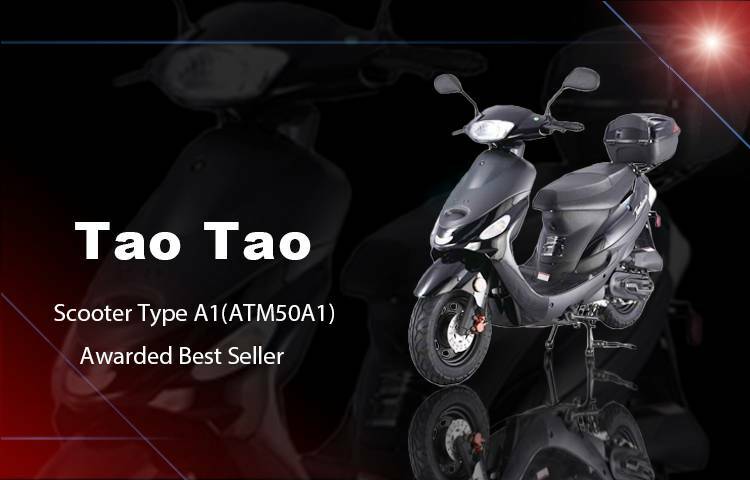 A remote control will conveniently allow you to start or stop your motor from a distance. The headlights on a scooter are bright enough to allow you to ride in the evening. 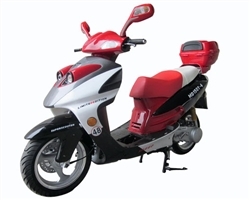 A taillight on the scooter gives off a bright taillight so that you are seen from behind even on dark nights. 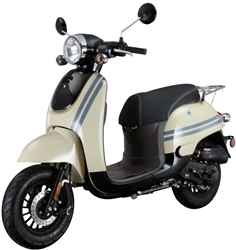 There are many safety features as well as convenience specialty features available on modern gas scooters. 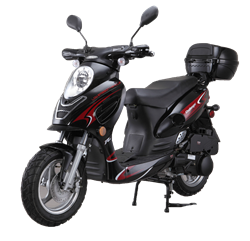 The many advantages of riding a scooter are seen in the many above mentioned amenities as well as in the attractive style and design of the newest scooters. 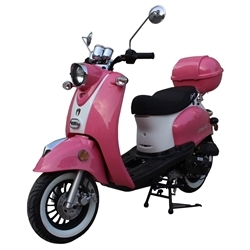 The newest and most attractive scooters in today's market are available for purchase online. Purchasing an online scooter provides substantial savings for the consumer. 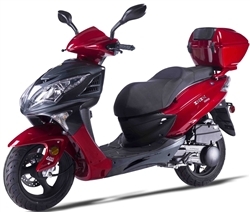 More powerful scooters such as the 150cc will be able to travel at highway speeds and will need to be tagged in most states. These scooters are able to travel at the regular speed limit required on highways; they will be able to travel at 50mph. 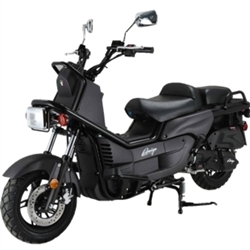 This scooter is one of the most affordable ways to travel as its need for gas is very limited. 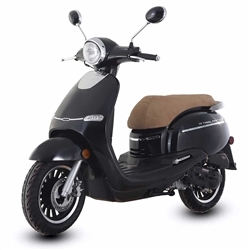 Finding a good deal on a great looking aerodynamic scooter is easy when you shop online. 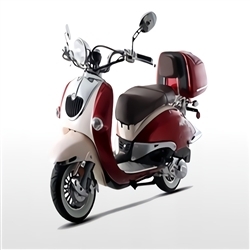 The 250cc scooter is a powerful scooter. 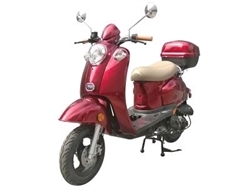 This type of scooter is often selected for college students who need a source of transportation while on a larger college campus. 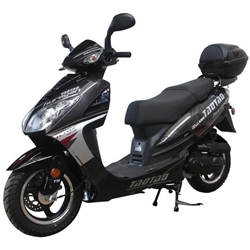 This type of scooter allows for easy transportation without the need for parking expenses and other expenses associated with keeping a vehicle at college. 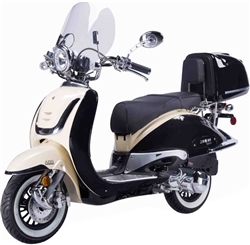 The best scooter is the scooter that operates at an efficient speed and is able to meet your transportation needs.